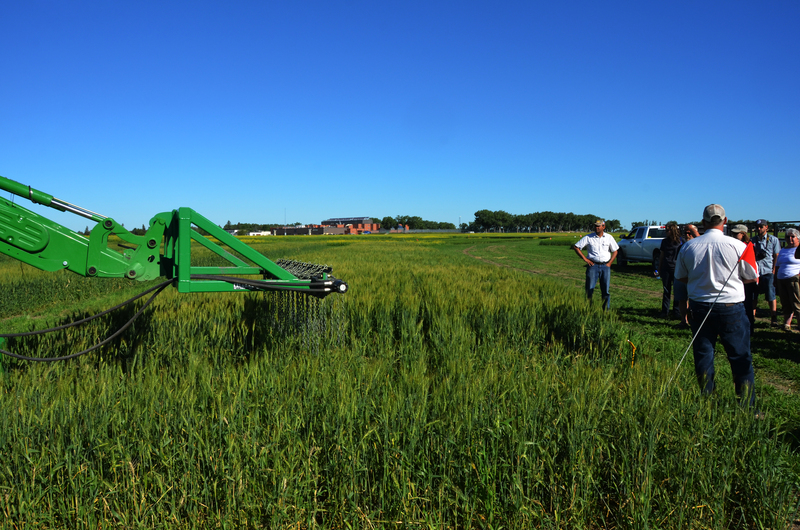 The latest in wheat-related research will be on full display at a crop walk in the Lethbridge area on Thursday, July 20. Farming Smarter is hosting WheatStalk in partnership with the Alberta Wheat Commission, the Western Winter Wheat Initiative and Agriculture and Agri-Food Canada – Lethbridge. “It’s a day of agronomy and research about wheat that’s relevant to growers and how that impacts their profitability,” said Alberta Wheat’s Brian Kennedy, who says there will also be no shortage of experts on hand at the event to speak on various research projects. Kennedy says it’s also a great opportunity to network. You can register by going to albertawheat.com or farmingsmarter.com.